From analysis and digital training to content development and strategic leadership, our unique approach is tailored to each business, brand and individual we work with. We’re passionate about helping our clients succeed, and no two clients are the same. 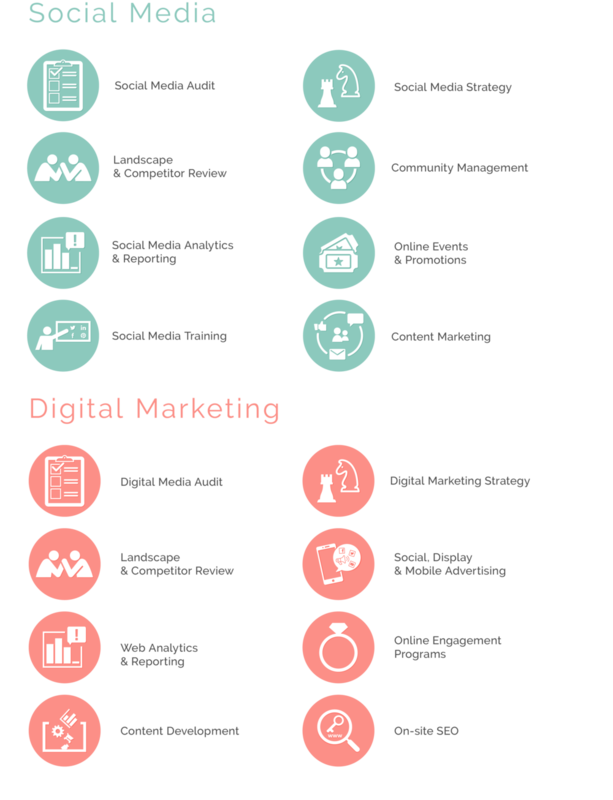 Our range of services is vast and we'll create a custom package based on your digital marketing budget, needs and goals. We will work alongside you to plan, develop and implement a unique-to-you strategy that will amplify your digital marketing and social media.